Last month was my husband's birthday and this was the card I made for him. 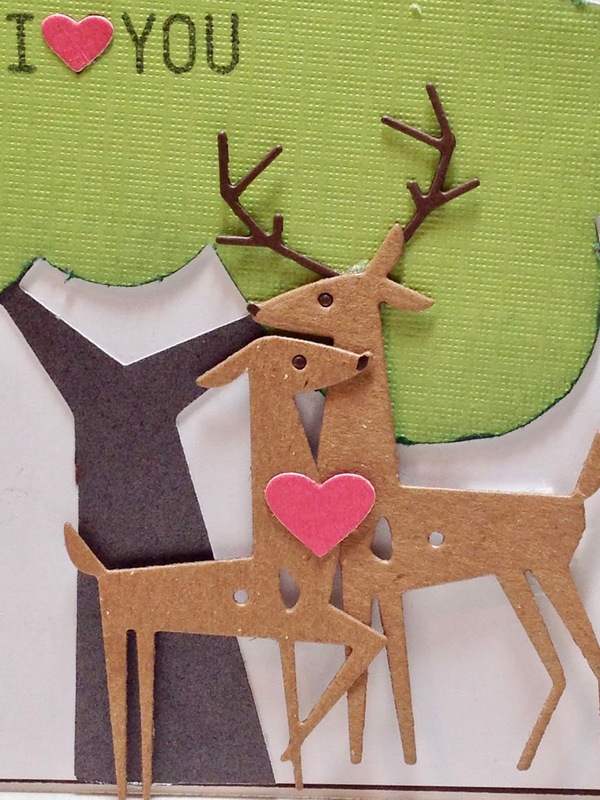 This adorable deer die cut was made using a die from MFT. I just love this die. These deer are so pretty and just the right size. The tree I made using a Circuit Expression. I stamped the sentiment directly on the tree. I sponged the edges of the tree with a dark green ink. I scattered heart die cuts on the tree using one in the sentiment for the word "heart" and one actually on the deer representing one heart. And here is the happy birthday boy with his card and the gift I gave him. I purchased this gift at a gift shop, but it would be so easy to make yourself. The frame is just stained pallet board. 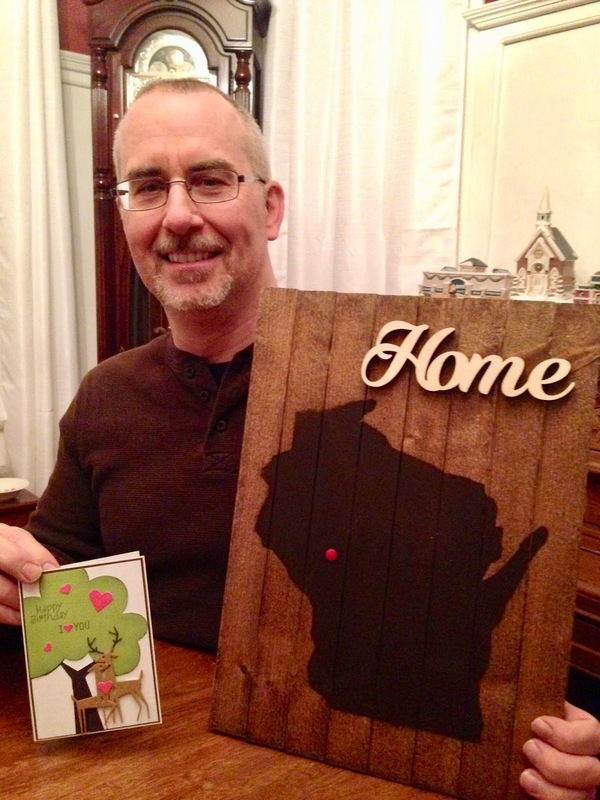 The "Home" is a 3D piece glued to the pallet board. You can find these words at any craft store. The state of Wisconsin is stained with a darker stain than what was used on the board. A red tack indicates where our home is. My husband absolutely loved this gift for after all our travels he is always happy to come home. 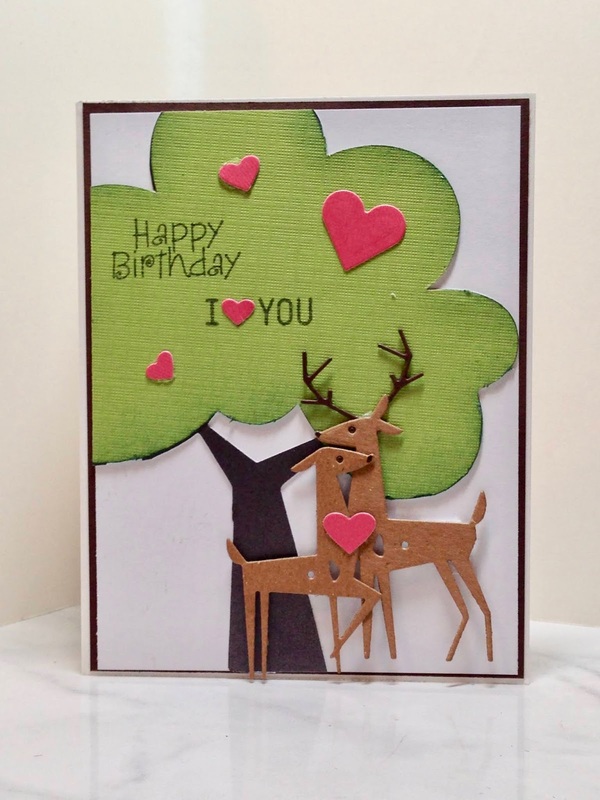 I love the card Amy, the deer look amazing! And what a nice gift too! 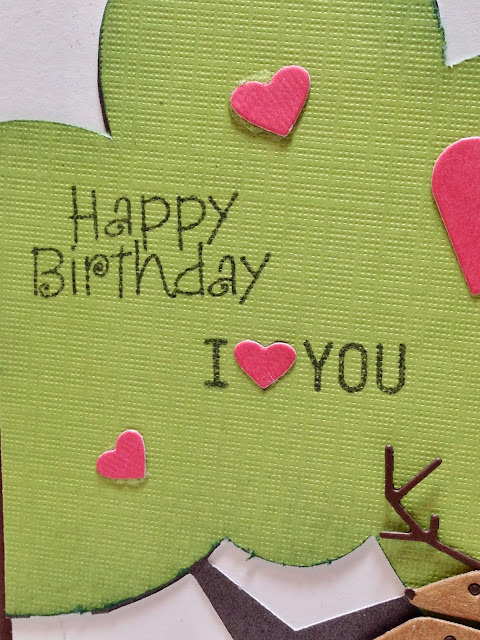 Your cards are always so special and this one is extra great! Thanks Ashley, yes, he did! Awww, this is sooo adorable dear! Such a lovely idea. This is gorgeous! 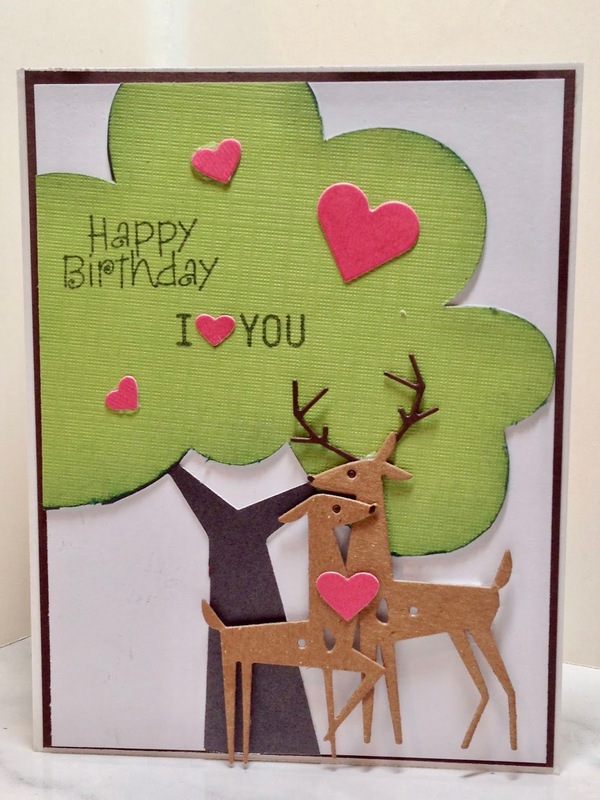 I love the deer, and the whole card incorporates my favorite colors. Such a great job! I also love the state sign. What a wonderful birthday gift. :) Thanks for sharing at Sweet Inspiration! Such a cute card! I have just recently gotten back into making cards. Thanks for sharing with us at Share Some Love. Pinned. Thank you! That's great that you're making cards again. How absolutely creative and thoughtful!! And so professional looking!! Thanks for sharing on "Sweet Inspiration"! Thanks Lidia! "Professional looking" that's quite the compliment!